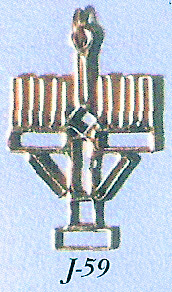 Religious Judaic Jewelry - This is a uniquely modern 14K Yellow Gold menorah pendant. This beautiful charm is large and comes ready to hang on your chain. Availability: Call for current Gold pricing Free Shipping. 14K gold menorah charm includes a 14K gold loop.